Attendance is FREE for UWHEN member institutions. Register online at https://suu2017.eventbrite.com. 1-1:45PM Pre-Event Guided Tour of Southern Utah Museum of Art (13 S 300 W) with Director and Curator Jessica Farling. Guests will be able to view the exhibits and get behind-the-scenes information. Do you know your strengths and weaknesses? Do you know what you bring to the table when you show up to work each day? Do you know where you want your career to go and how to get there? Join a conversation with Mary Weaver Bennett who spent over 25 years as a legislative and regulatory policy expert in Washington, DC, Ms. Bennett will share insights and experience on how she thrived and was successful in a demanding and male-dominated environment. This event will help you gain tools to explore your individual strengths and weaknesses and create your strategic advantage. 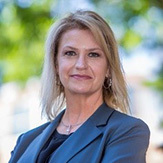 Mary Weaver Bennett most recently served as president of Red Ridge Consulting, LLC, and as an expert advisor for Blackline Advisory Group in Nashville, TN. She is a specialist in legislative and regulatory policy matters for the financial services industry, including electronic payments, government relations, advocacy, and communications. Prior to moving to southern Utah in 2014, she was Director of Government and Industry Relations for the Electronic Transactions Association in Washington, DC, where she led federal and state public aﬀairs strategy, lobbying, and outreach initiatives. Ms. Bennett’s professional experience spans over 25 years in a range of Washington, DC, institutions including the US House of Representatives, the US Senate, The Washington Campus, and the Public Company Accounting Oversight Board (PCAOB) under the US Securities and Exchange Commission. During this time, Ms. Bennett spent nearly ten years on Capitol Hill, working as professional staﬀ member for several House committees and as a senior aide to Senator Richard Bryan (NV). Ms. Bennett then started her government relations career as an Associate Director at the Public Company Accounting Oversight Board, a regulatory body overseeing auditors of public companies. Ms. Bennett has also worked as a public aﬀairs television writer, created Washington-based political education programs for business executives, and is a veteran of several congressional and presidential campaigns. She is a graduate of The Pennsylvania State University where she majored in Political Science. She is enjoying the adjustment to western life in Ivins, UT, where she spends free time with her husband Doug, works with wild mustangs at Windhorse Relations, and supports the Kayenta Arts Foundation.